Alates 01/01/2011 aastast annab Raymarine oma toodetele 3 aastat garantiid. Registreeri oma uued Raymarine navigatsiooniseadmed Internetis ja Sul on kolm aastat garantiid. Raymarine’s commitment to excellence in service standards and customer support is being further enhanced with its new three year Extended Warranty programme. 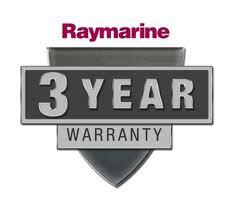 Starting from 1st January 2011 all new products will be eligible for a three year warranty at no additional cost; users simply need to register their new products online at www.raymarine.com/warranty and the standard two year warranty is automatically extended by a further 12 months free of charge. This new Extended Warranty programme demonstrates Raymarine’s confidence in the high standards of quality and reliability that have been designed into its products across the board. Raymarine specialises in developing products specifically for the marine environment, combining industry-leading technology with intuitive robust design. As part of the new product development cycle all products are required to pass extensive destruction testing at Raymarine’s in-house test facilities – where they are shaken, baked, frozen and deluged – prior to on-the-water trials by a specialist fleet of testers around the world and on board Raymariner, the company’s dedicated test boat. This attention to every detail – from the smallest internal component to the largest colour screen or product casing – ensures that Raymarine’s products are completely fit for purpose and able to withstand the punishing conditions they are subjected to at sea. For further information contact Fiona Pankhurst, Head of Corporate Marketing & PR, +44 (0)23 9271 4700 x1093 or by email at fiona.pankhurst@raymarine.com; or Alice Driscoll at ADPR, Tel +44 (0)1460 241641 or Fax +44 (0)1460 242719 or by email at alice@adpr.co.uk.